London Family Photographer -2017 - What a Year! London Family Photographer – 2017 – What a Year! Posted December 31st, 2017 by alexa & filed under Families. Wow! 2017….what an incredible year it’s been for this London family photographer! It’s been so much fun and packed to the brim photographing families, children, musicians, weddings, businesses, schools, nurseries. The list goes on and on…..
I’ve returned to families I’ve photographed before, meeting lovely new additions to their family – either babies or pets! It’s been wonderful to meet and photograph so many new families too. I’ve listened to some amazing musicians, trying hard to remind myself that I should actually be taking some photos of them too at the same time! I photographed some incredible weddings too. I only take on a select number of weddings each year now but the ones I photographed in 2017 have been a joy in every sense. It’s been a good year for meeting interesting people either starting new businesses or updating photos for their current business. I’ve loved creating profile pictures that really stand out. 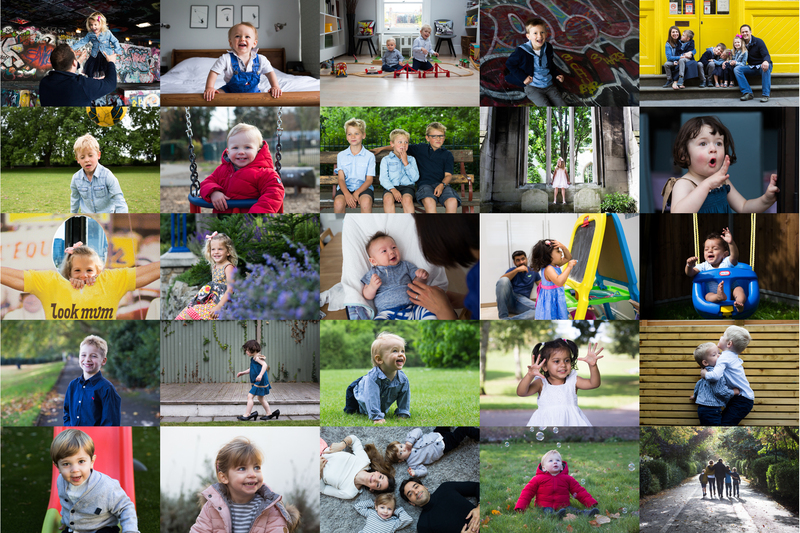 I’ve also expanded into more schools and nurseries, capturing natural images of children going about the daily life in their school environment. It’s lovely to then see these images used in prospectuses and on websites. There have been so many highlights of 2017 it was really hard picking a handful for the collage below. I didn’t know where to start to be honest, choosing from the thousands of photographs I’ve taken. So I ended up choosing some, which to me represent the joy and wonderment of family life. Kids are enormously funny and make me laugh so much. I just love seeing their natural happy smiles emerge from some of the images I chose. This is the essence of what I try and capture in my family photography sessions. One of the things I’m most proud about in 2017 is the introduction of Day in the Life sessions, both full and half days. It’s such a great chance to have your family photographed in a genuine, documentary style. Although I include some relaxed family portraits as part of the session, the emphasis is much more on capturing real, authentic moments in family life as it really happens. The images show what the family is really about, not just what they look like, and this makes it a wonderful record to look back on in the years to come. I’m also proud to say I now include either a beautiful mounted print or a coffee table book in every package I offer, along with the digital files. I feel passionately that photos should be displayed on walls or looked at lovingly in albums, not hidden away on a computer where they rarely see the light of day. So a huge thank you to all my wonderful clients of 2017 – it’s been an amazing year and I’ve loved working as a London family photographer with every single one of you. And here’s to an exciting 2018 – my diary’s already filling up fast so if you’re interested in booking a session please contact me on hello@alexakidd-may.com or 07813 816335. I can’t wait to get going but might just have a few glasses of fizz first!